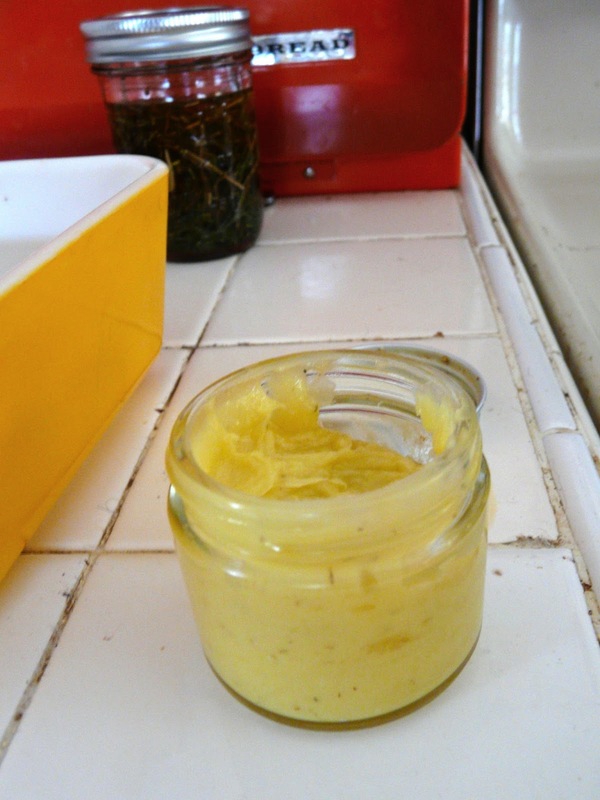 After last summer's intense heat and bad sunburns I decided it was time for something a little more soothing than the aloe, I'd use it with aloe of course, but when I burn I need some serious moisture! I infused chamomile and rosemary in olive oil, letting them sit in the sun of my kitchen window for a few weeks. 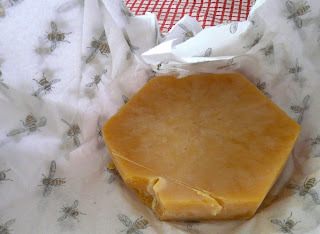 The other ingredient is beeswax, all natural with that slight whiff of honey to it! I used about one cup infused oils, and one ounce beeswax. You can add 20-30 drops of essential oils or a tablespoon of vitamin E oil as well. 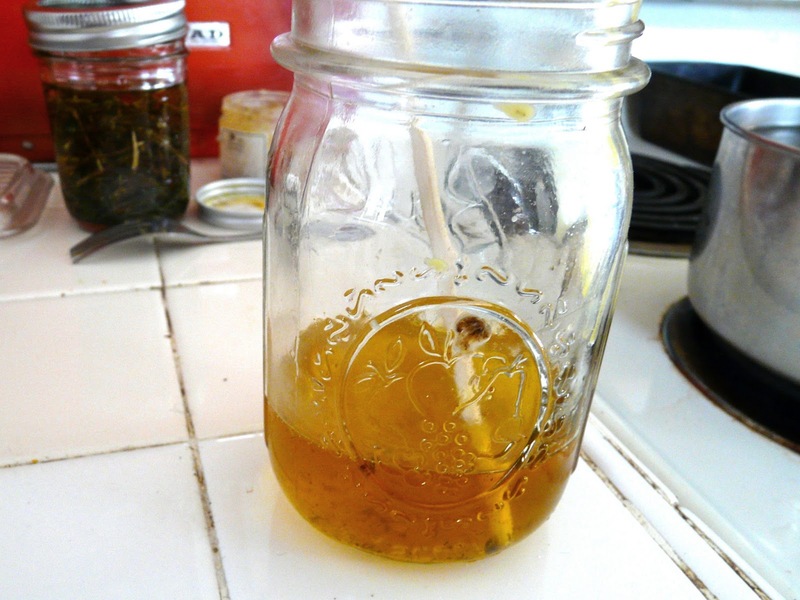 Melt the wax in a double boiler, make candles, then pour into a container. Note that once a container is used for wax related stuff it's tricky to clean it all the way, so just dedicate those jar to ever be for salve making and wax melting. I stirred the salve while it was cooling to make a light fluffy concoction, better for smearing on sensitive burns and rashes. Simple, effective, wholesome and free of unknown scary long -named chemicals! 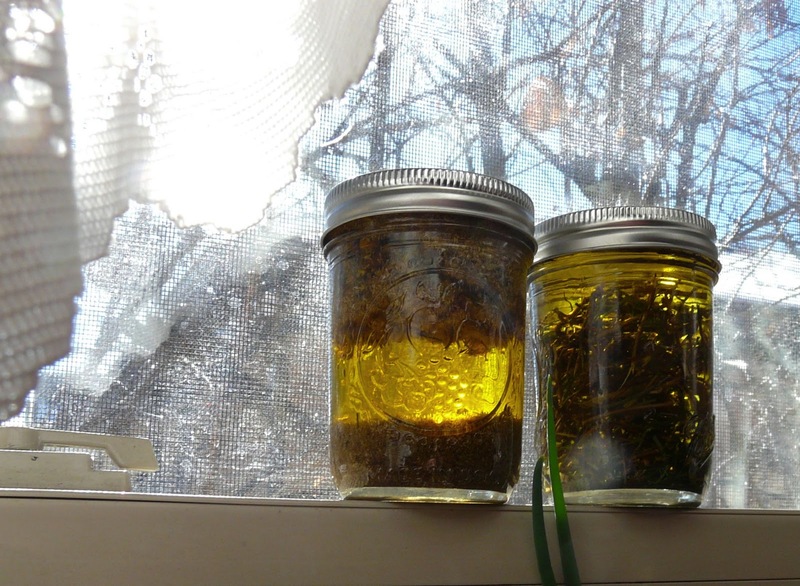 Do you make body products for yourself at home?